Looks like director Selvaraghavan has moved on to GV Prakash’s music. The musician has been signed up to compose the music for the forthcoming Selvaraghavan film in which Vikram stars. 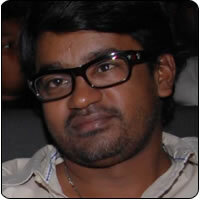 When asked if he would return to Yuvan Shankar Raja for music, the director said that it is not possible anymore. It is important to note that Yuvan and Selva together was a hit combination as all the music scores in Selva’s movies were smash hits. The director says that he is looking for the right opportunity to direct Ajith and Kamal Haasan.